Love this streetwear looks for boys this Fall-Winter season! Your little boy will look so cute wearing this Boys Mini Me L’amore e Bellezza Runway Sweater from Dolce & Gabbana. Taken directly from the Dolce & Gabbana Men’s FW18-19 Runway Show at Milan Fashion Week! Perfect for everyday wear, this mini-me boys green knitted zip-up hooded top by Dolce & Gabbana is in a soft and stretchy blend of pure wool and cotton. The front has a regal crested print of cherubs and ‘L’amore è bellezza’ slogan and elasticated cuffs and hem. 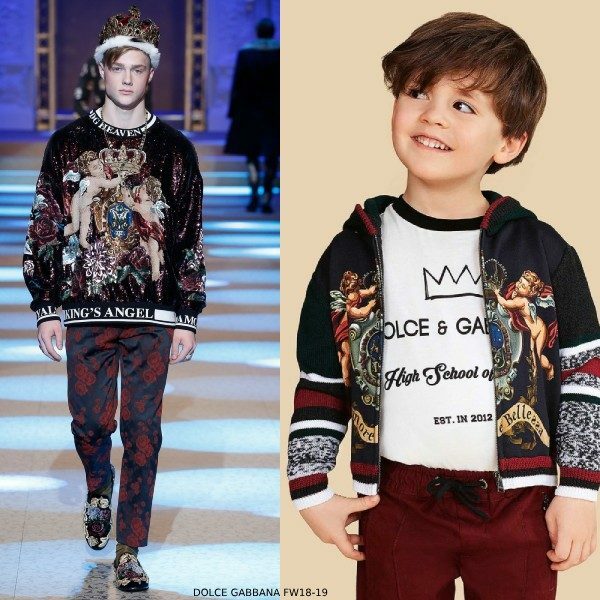 Unfortunately, this Dolce Gabbana Boys Mini Me L’amore e Bellezza Runway Sweater is not currently available. 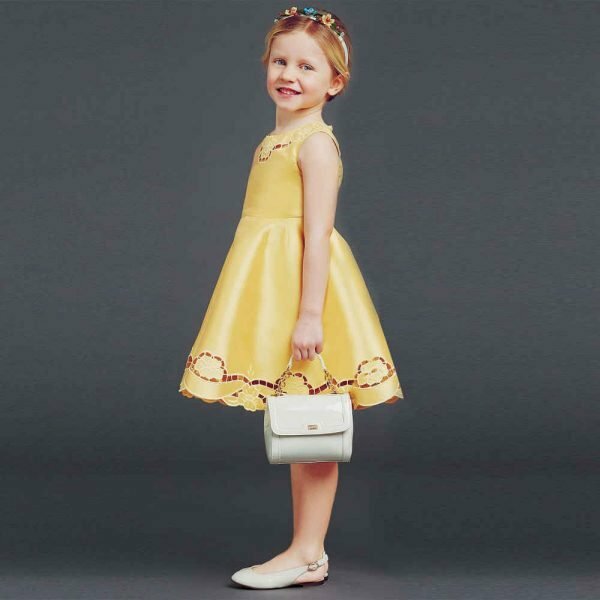 You can shop similar Dolce & Gabbana Boys clothes from the current collection online.